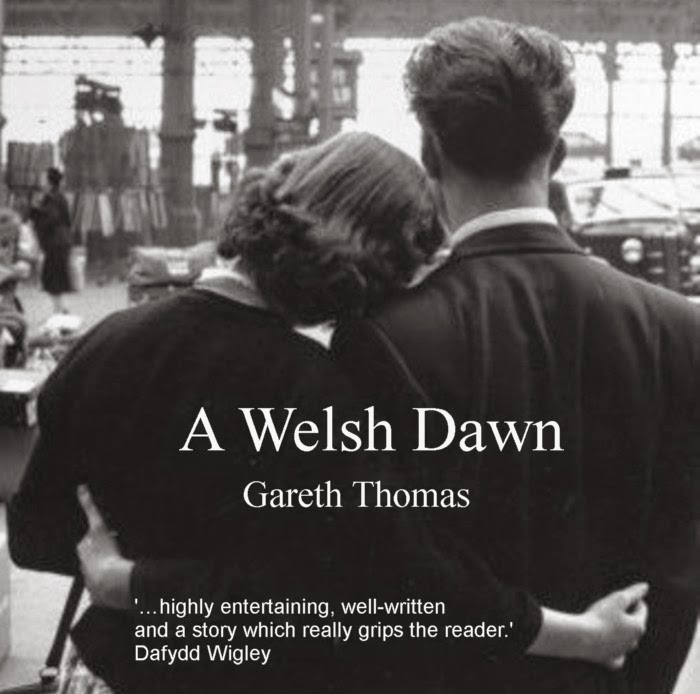 During the course of researching and writing ‘A Welsh Dawn’ I came across all manner of good things which never found their way into the book. One reason for this site is to share some of them with readers who share my interest in 1950’s Wales. If you have memories or material to share, or comments to make PLEASE feel free to enrich and improve the site. Contributions can be in Welsh or in English and this page is reserved for the purpose. You can of course leave comments on any page if you feel that your message is better placed in a particular section. Gareth: Llongyfarchiadau am dy lyfr. Dw i'n edrych ymlaen i weld e. Yn anffodus, dw i'n dim yn gallu dod i Gaernarfon, ond dw i'n edrych ymlaen i gwrdd gyda ti ym mis Hydref yn Basingstoke. Dw i'n wedi mwynhau dy wefan, yn enwedig dy dudalen we am "Background to the book" - ardderchog! Pob lwc i ti a hwyl fawr. "It's very good and deals with a weird and wonderful era in Welsh politics especially from the Gwynedd perspective, one that tends to be neglected in the English language. It carries it's four themes together really well." I enjoyed reading the book over the bank holiday weekend. What a fascinating period of history for Welsh Labour and for the origins of devolution. What a splendid novel – warm, uplifting and so well written. I loved it! "A beautifully developed story of emerging identity, both personal and national. The two strands, that of the book's young protagonist's first steps into love and politics, and of the growing insistence on a proper recognition of Welsh interests in Whitehall under Prime Minister MacMillan, with all the conflicting party political eddies that accompanied it, are brought deftly together and written with warmth, humanity and wisdom. A fine dramatisation of the importance of language, both to individual families and to a sense of national identity." “this wonderful book ……………………. I am half way through and only stopped when my eyes failed to function! The story is built around a group of people with varying attitudes to their own lives and to the Welsh language. The writer weaves the history of the period into the lives of the fictional characters with unfailing clarity and excitement. Must get on -I'm aching to know how it all works out.